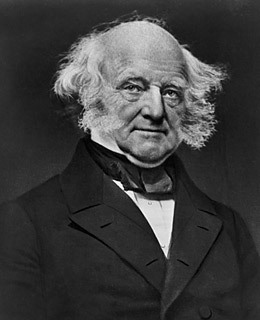 Van Buren was largely done in by an economic crisis brought on by banks offering easy credit while benefiting from little or no central regulation. (Sound familiar?) The President's extravagant lifestyle made him an easy scapegoat for political opponents, and the crisis overshadowed his deft handling of early sectional tensions. He was soundly defeated by William Henry Harrison in 1841. See how people are cashing in on President Obama.